Mottahedeh is the recognized leader in luxury ceramic antique reproductions and historic designs, primarily hard porcelain faience and stoneware. We have developed licensed products with Metropolitan Museum of Art, Colonial Williamsburg Foundation, Historic Charleston Foundation, Mount Vernon, Winterthur Museum and Gardens, Monticello, and Tony Duquette. and have a history of working with many more; most recently with National Geographic Society. Mottahedeh has been commissioned by the President, the U.S. State Department, and the Diplomatic Corps and offers an incredible collection of timeless patterns like Tobacco Leaf and Blue Canton. Our 90 year old company focuses on complex and beautiful colors and unique historic shapes in a wide array of tableware and home décor accessories, crafted through centuries old techniques and attention to detail. We have a time proven reputation for producing the best of classic and enduring designs. Mottahedeh products are primarily manufactured in Europe, with the largest production in Portugal. They can be purchased today and used every day. Mottahedeh hard porcelain items are durable and can be placed in the dishwasher and oven. The items with gold are the real thing. We design and manufacture Mottahedeh and Milestone by Mottahedeh and are the exclusive U.S. Distributor for R. Haviland and C. Parlon Limoges porcelains, as well as Jars, France crystalline stoneware. Read more about our history. 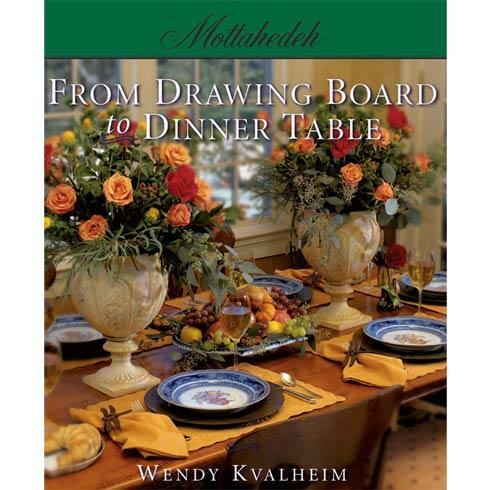 The founders Rafi and Mildred Mottahedeh have passed the reins many years ago to Wendy and Grant Kvalheim, knowing that the values that earned its great reputation will live on.